I haven’t got much to report this week! I will tell you I have been pumping up the list this week. There are so many great fun looking things coming up in the next few weeks. I am also super psyched about Halloween and Fall Festivals. I know Halloween is still a month away, but I am digging up all the Holiday activities that I can find! 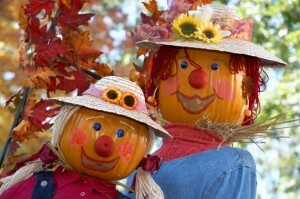 The nearest one is a tradition for us, We always go to the Scarecrow contest and Festival at Flamingo Garden! With any luck it will cool off a little before the beginning of October! The Let me know if you have any Holiday events that need to go on the list! Here is your quick link to the full list! It is extremely long! How you can help keep this site running. If you have found this site helpful and want to keep me writing please use the Donate Button on the right side of this page. This helps us pay for our domain, ip address and hosting. Some sites require membership fees in order to pay for their site. We really want this information to be free and available to all. Special Thanks to our sponsors for making this site possible! This entry was posted in Weekly Lists and tagged cheap, events lists, Family Activities, South Florida by Cynthia Buckley. Bookmark the permalink.